Roll out dough to 1/4 inch thickness. Cut with a well-floured 2-inch square cutter (pizza cutter works great too) into 2 x 2-inch squares. Let rise uncovered about 30 minutes. Heat oil to 350 degrees F in a heavy saucepan. Putting just a few of the beignets in the oil at a time, fry for two minutes, flip and fry until golden on the other side. 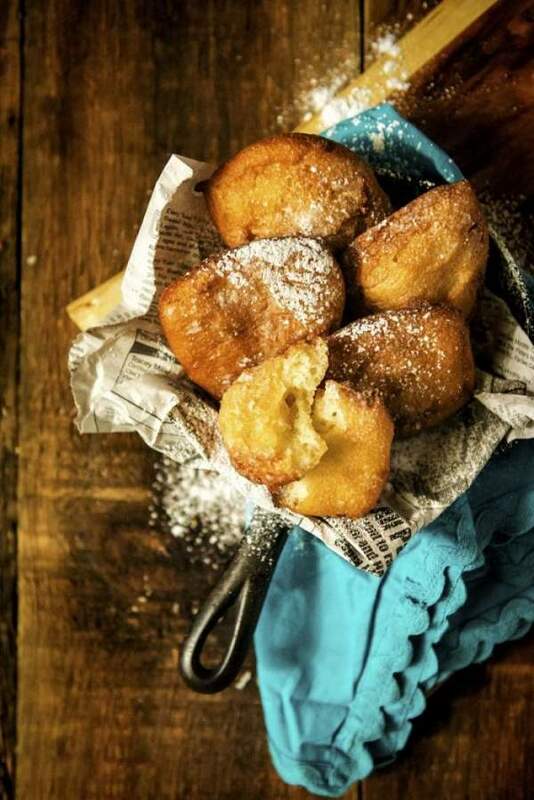 Shake beignets with powdered sugar.